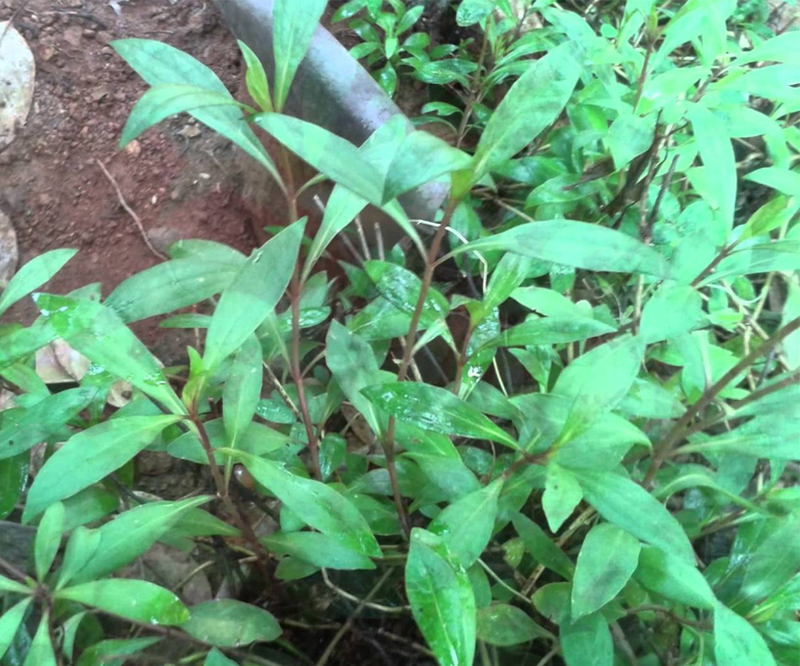 While traveling in Paraguay, South America, some years ago, I became acquainted with a species of Eupatorium or Lungwort called Aya-pana, possessed of most extraordinary virtues in consumption and other diseases of the chest. In Paraguay, which is a very paradise on earth, numerous medicinal herbs of exceeding great value grow to the greatest perfection. The Aya-pana belongs to the class of Eupatorium Perfoliatum, though quite unlike the Lungwort and Thorough-wort, indigenous to North America. The Aya-pana is only found on the eastern slope of the Andes, on the mountain sides, along the sunny banks of streams, and beautifully luxuriant on all the tributaries to the Amazon, and La Plata especially. It is a perennial plant, with numerous erect, round, hairy stems, five to ten feet high, the stalk plain below, but branching out in numerous stems near the top. The leaves grow on the opposite sides of the base. The direction of each pair of leaves is at right angles with that of the pair either above or beneath. The leaves are long and narrow, broadest at the base where they coalesce, gradually tapering to a serrated point, wrinkled, palish green on the under surface, and beset with white silken hairs, which add much effect to their greenish-gray color. The flowers are snow-white, slightly tinged with a purplish hue at the end, very numerous, supported on hairy peduncles. The calyx is cylindrical, and composed of imbricated, lanceolate, hairy scales, inclosing from twelve to fifteen tubular florets, having their border divided into five spreading segments. There are five black anthers united in a tube, through which a bifid filiform style projects above the flower, rendering the whole a beautiful and picturesque plant. Ayapana triplinervis (Vahl) R. M. King & H. Rob.